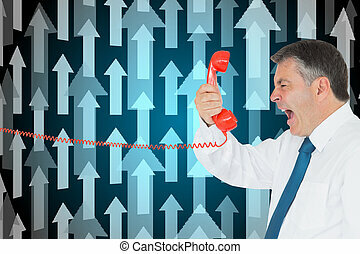 Businessman screaming directly into the handset. 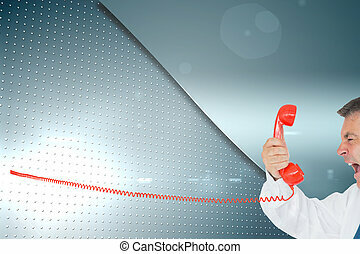 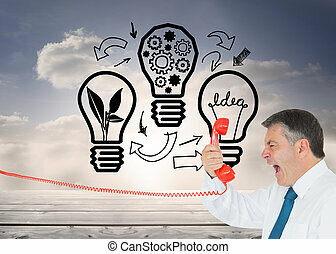 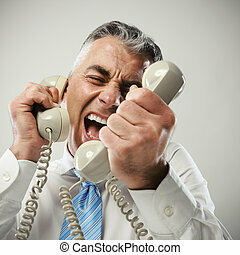 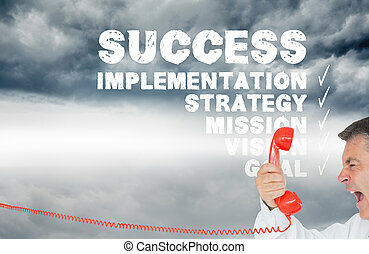 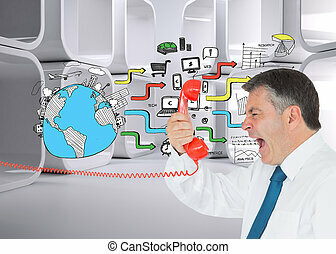 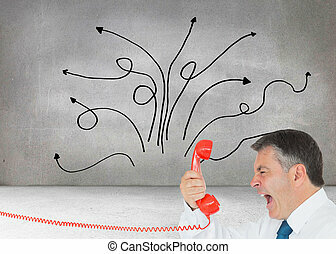 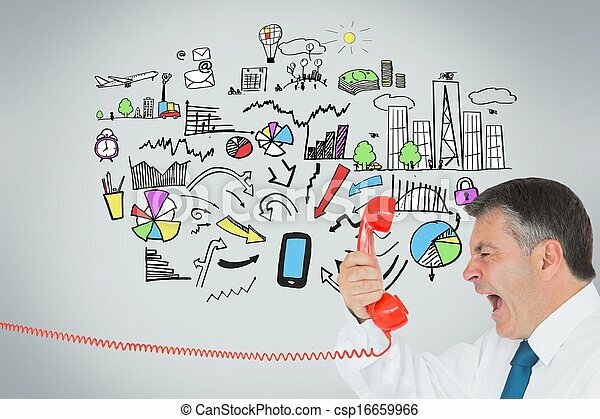 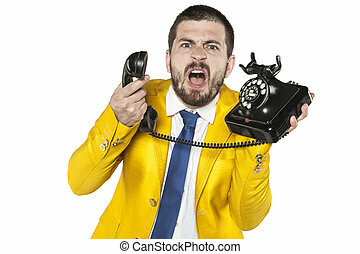 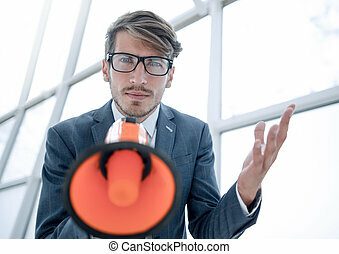 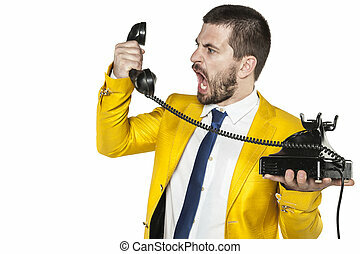 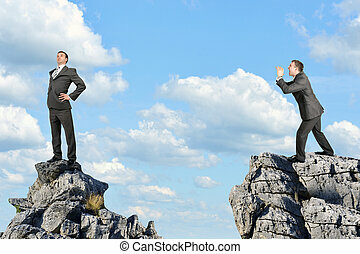 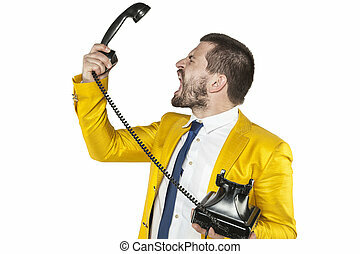 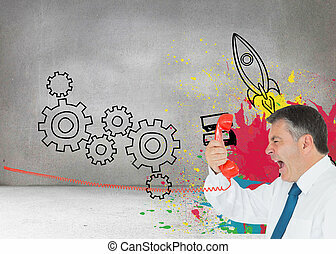 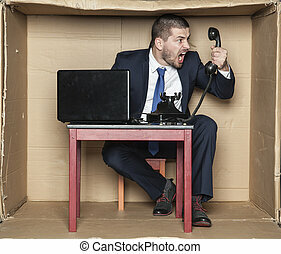 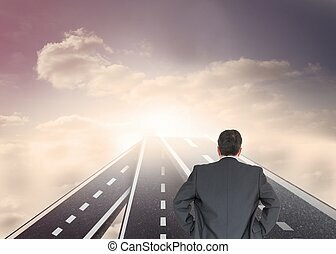 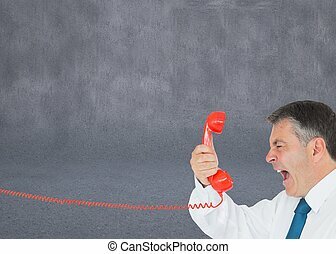 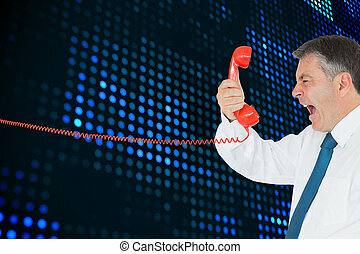 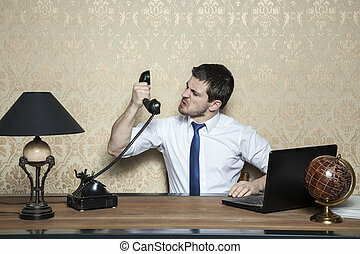 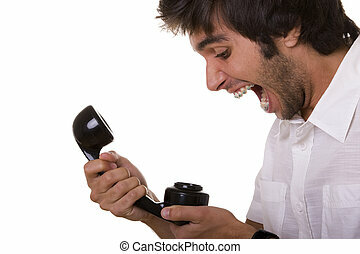 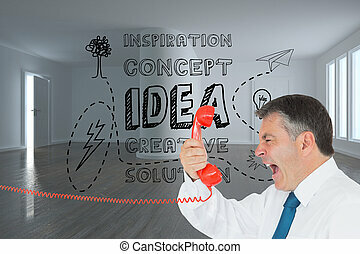 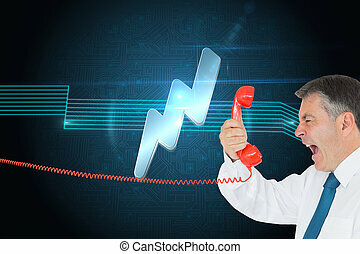 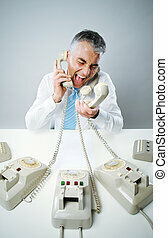 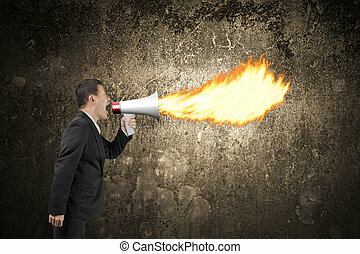 Composite image of businessman screaming directly into the handset in front of economic illustrations on grey background. 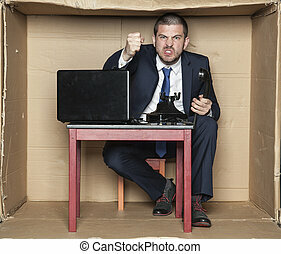 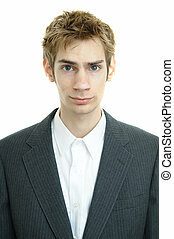 A businessman full-height full-faced, looking directly into the camera in a boxing pose isolated on the white background. 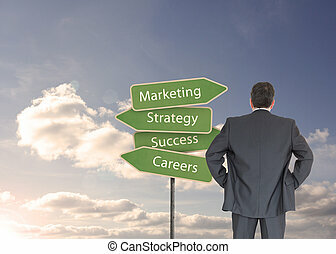 Business and management. 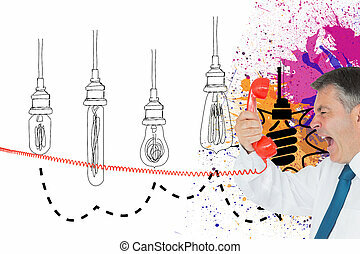 Poses and gestures. 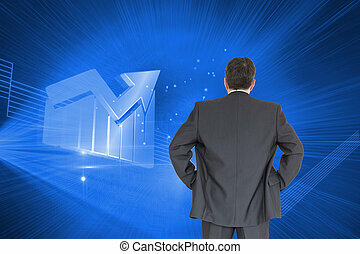 Power and confidence. 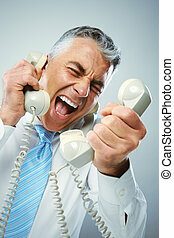 A stressed businessman yells loudly into the three handsets that he is holding.